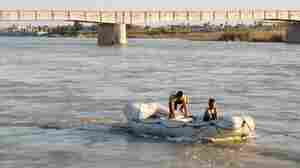 March 21, 2019  The casualties included many children, as a vessel carrying Nowruz holiday revelers capsized in the Tigris River. Authorities said the boat appeared not to have had life vests on board. 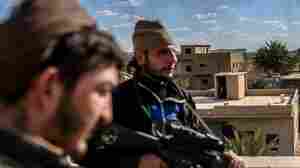 February 15, 2019  Parliamentary groups are pushing for a vote on the U.S. military presence in Iraq after President Trump said its Ain al-Asad base would serve as an Iran watch post. February 11, 2019  Jones helped add "freedom fries" to the congressional cafeteria menu. 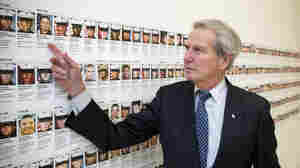 Later he came to deeply regret his vote for the war in Iraq and wrote thousands of letters to families of fallen soldiers. February 2, 2019  The noted Iraqi archaeologist died Jan. 18 in Jordan. 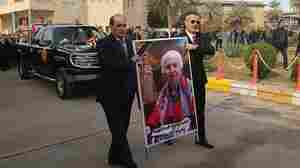 She helped restore Iraq's national museum after it was looted in 2003 and specialized in the study of ancient cylinder seals. January 31, 2019  Muneer Subaihani says immigration agents told him he would be in jail for life if he didn't agree to be deported to Iraq. 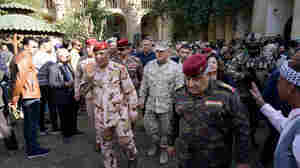 On Tuesday, in a rare event, he was admitted back into the U.S.
January 7, 2019  For the first time in years, an American military general walked the streets of Baghdad. Some Iraqis seemed to ignore it, while others decried it as a violation of national sovereignty. 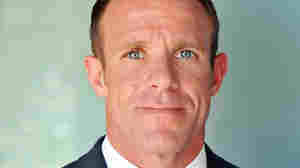 January 4, 2019  Nineteen-year veteran Edward Gallagher will stand trial on war crimes charges, including premeditated murder, that prosecutors say he committed while serving in Iraq. 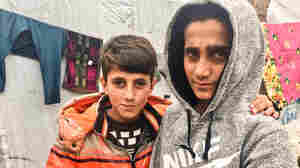 December 19, 2018  New Yorker reporter Ben Taub says hundreds of thousands of Iraqi civilians, including women and children, are being detained, tortured, killed or cast out for suspected association with ISIS. December 17, 2018  Iraqi religious leaders officially initiated the restoration of Mosul's al-Nuri mosque yesterday. The mosque was destroyed as Iraqi forces reclaimed control of the city from the Islamic State in 2017. November 24, 2018  A U.S.-funded conservation project is shoring up the brick walls of the ancient city. The hope is that Babylon will qualify for UNESCO World Heritage status.